A bike with a parking violation outside Norris University Center. This year, Norris Outdoors annual bike sale will partner with Chicago nonprofit bike shop, The Recyclery. Norris Outdoors will partner with The Recyclery, a Chicago-based used bike shop, for a bike sale on Oct. 5. The partnership will allow Norris University Center to sell more bikes than in past years, when supply was limited to abandoned bikes collected from around campus, said Whitney Bennett, a volunteer at The Recyclery who organized the partnership. Bennett, a program associate in the Office of Undergraduate Learning Abroad, said she saw an opportunity to connect Northwestern and The Recyclery after she heard about Norris’ used bike sales. Bennett said she contacted Norris program manager Nancy Cambron Perez to make the partnership a reality. “(Cambron Perez) was really receptive to … partnering with an organization like The Recyclery that shares in the educational mission of Northwestern,” Bennett said. The Recyclery, located near the Howard Street Red Line station, teaches customers how to fix their own bikes and hosts an “open shop” three times a week so cyclists can use the shop’s tools for free. Matthew McMunn, The Recyclery’s volunteer and outreach coordinator, said the shop’s educational programs foster a sense of community. For those who cannot afford a bike, The Recyclery partners with community organizations in a program called “Freecyclery” to provide free bikes, McMunn said. While volunteering, Bennett said she has seen many NU students, faculty and staff visit The Recyclery to purchase bikes and access educational materials. 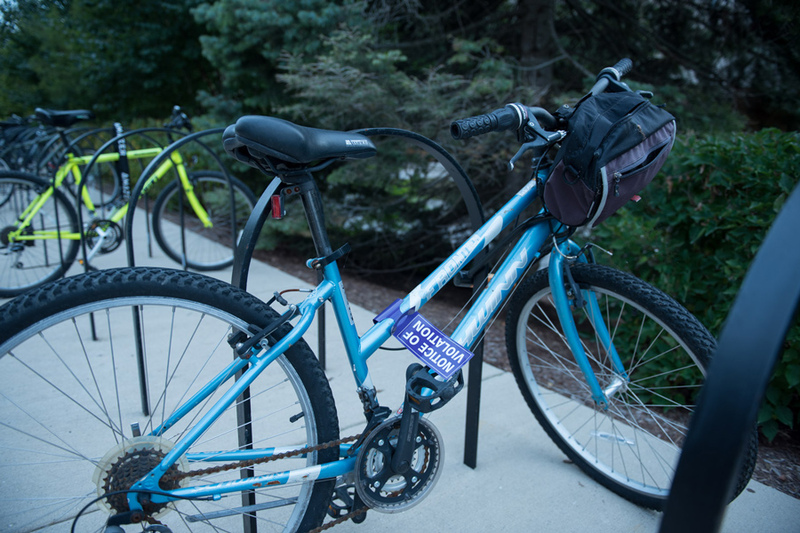 With the Norris bike sale, she said The Recyclery will increase its visibility on NU’s campus. She added that the partnership will also help promote “safe riding practices,” a mission of both The Recyclery and NU. University Police will sell locks at the event, and provide free bike lights and helmets for those who register their bikes, according to Norris’ website. Cambron Perez said the partnership will benefit the NU community.